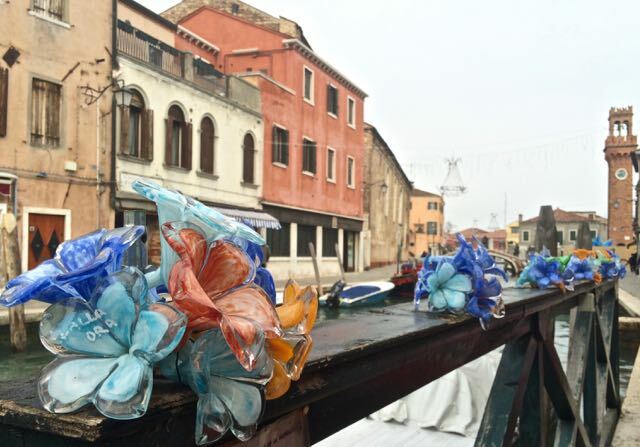 Murano is probably the best known island in the Venetian lagoon. This is where the famous glass is made. 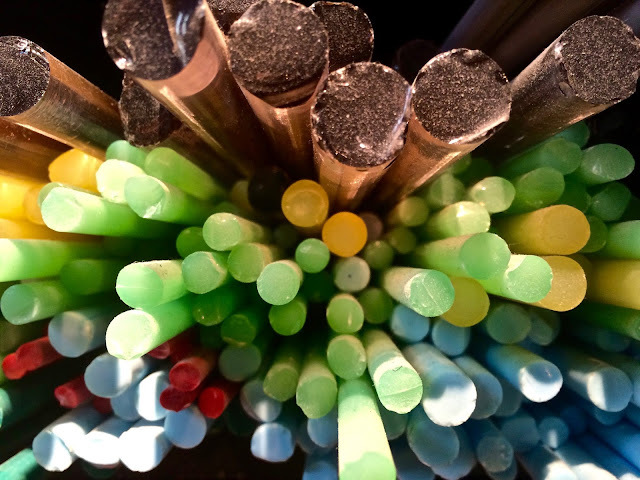 Shops in Venice are filled with long strands of colorful beads, stacks of bowls and glasses and sculptures that ranges from kitchy to absurd. A lot of what you see is not made in Murano at all, but are cheap imports. 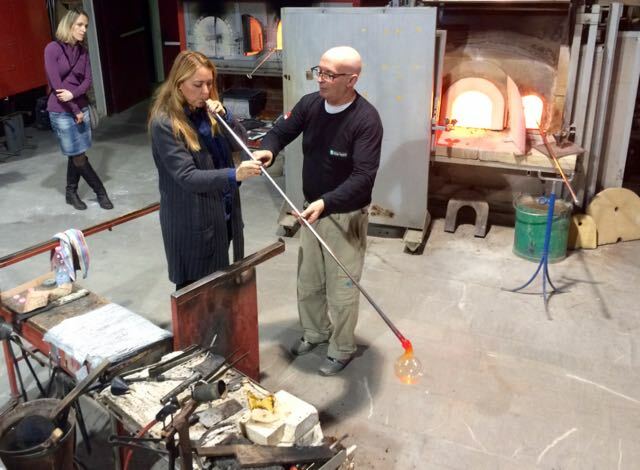 Recently I got to spend a day on Murano and meet some of the artisans who are creating real masterpieces from glass and fire. 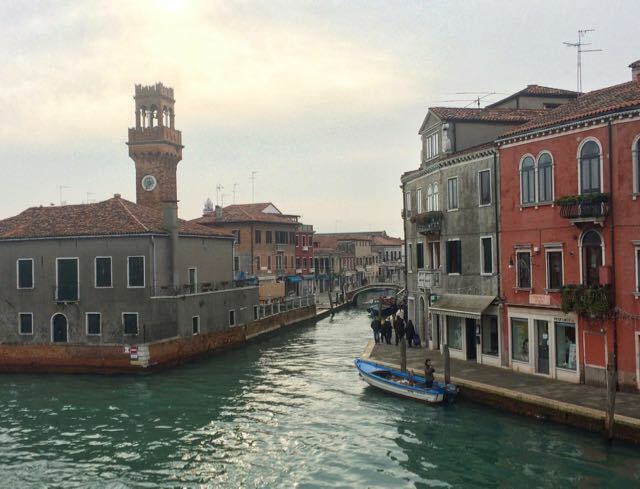 Murano is easy to each from Venice. 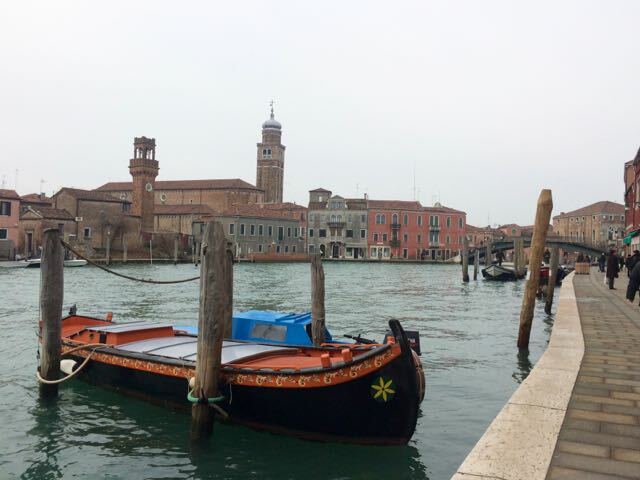 You can take a private water taxi or a vaporetto from Fondamente Nove or Piazzale Roma. When you arrive on the island, particularly in summer, there will be plenty of people offering you free tours of factories and lunch. My advice to you is to politely decline and seek out some of the smaller workshops and artisans. Even better get in touch with Vivo Venetia and have them show you around. In a tiny studio with a very chill dog at her feet, Cristina transforms long colorful rods of glass into extraordinary detailed sculptures of mermaids lolling on rocks, intricate sculptures with impossibly thin threads of transparent glass and a menagerie of tiny animals. When I asked her how long it takes to create a piece she replied it can be finished in a few minutes but it has taken her a lifetime. A few bridges away and in stark contrast to Cristina's cozy studio, French artist Muriel Balensi works in a vast warehouse sized space. She explained how she creates a universe in the glass as she spun and twisted the molten colors into a multilayered bead. 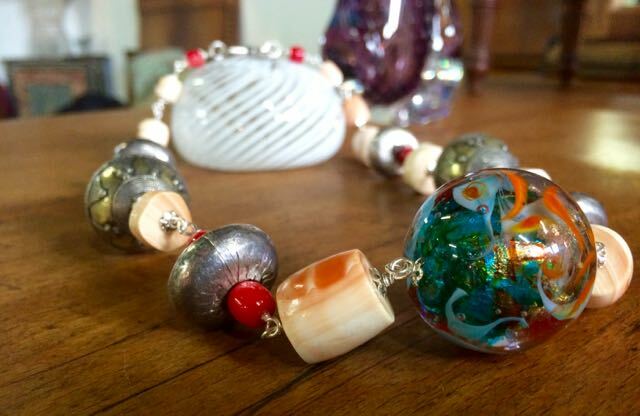 She strings these beads into necklaces, bracelets and earrings that are all artfully on display in her studio. Abate Zanetti is a large scale factory that produces tableware and chandeliers and jewelry. 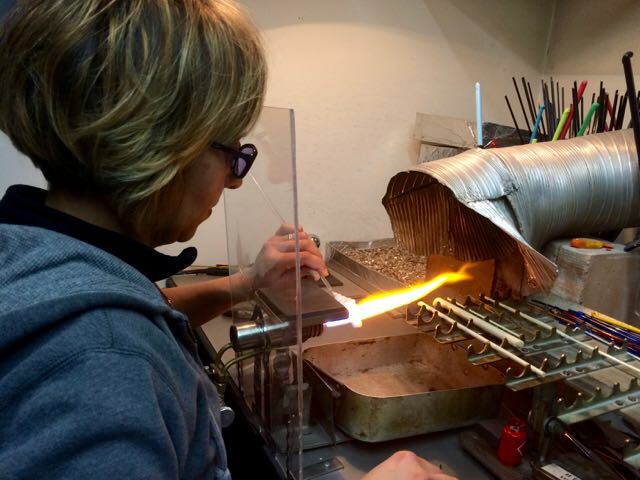 We got to watch as a master glass blower transformed a glowing red blob straight from the furnace into a detailed vase and then after a quick lesson I got to try my hand. 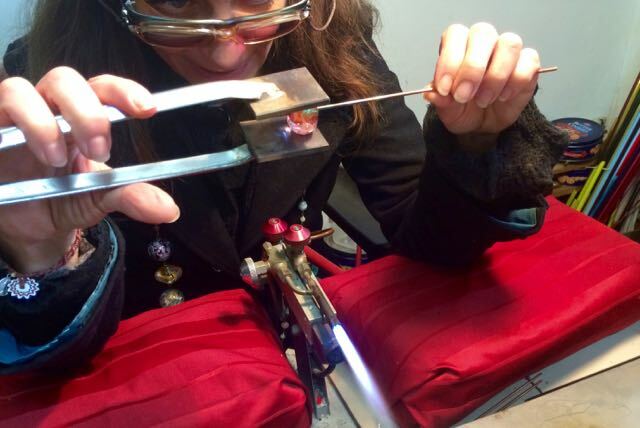 I understand why it takes decades of apprenticeship to become a glassblower now. This factory is about to embark on a tremendous project to make sure that this craft that over the centuries brought fortune to this small island is not lost to those cheap imports I mentioned earlier by opening the only high school on the island to teach Venetian teenagers the art, craft and business of the Murano glass industry. 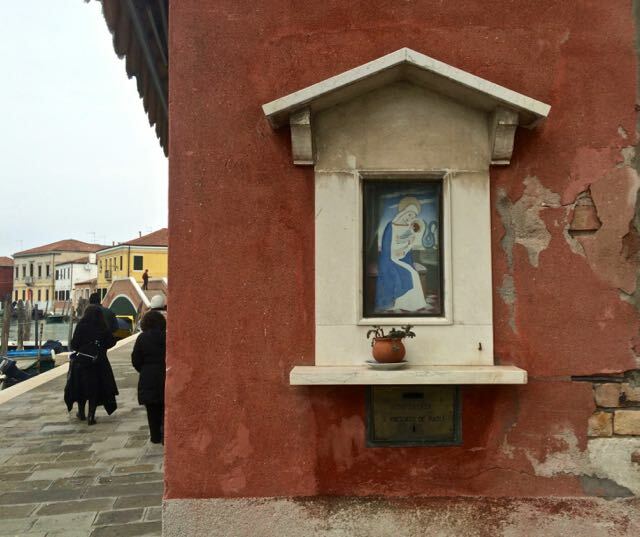 For lunch head towards to the Church of Santa Maria e San Donato (which has some incredible Byzantine mosaics inside) and find Osteria al Dumo. 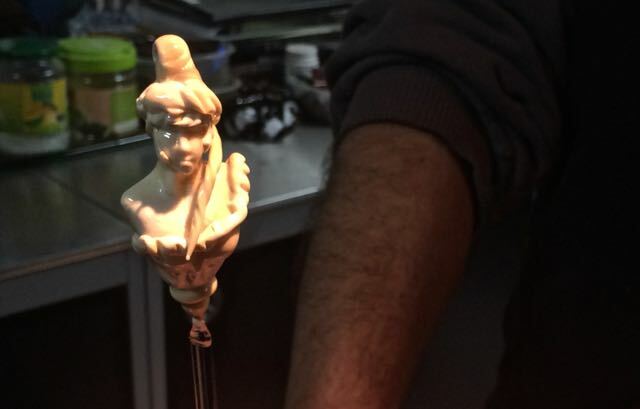 This large and very popular restaurant has something for everyone. 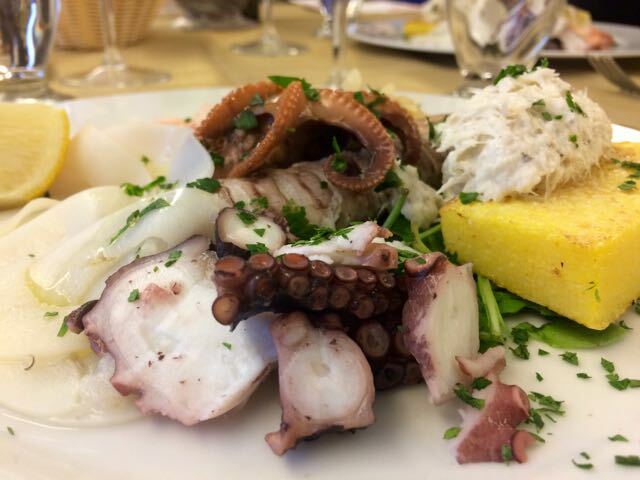 Local fresh seafood and pasta are obviously on the menu but there is also a pizza oven and a separate kitchen where gluten free options are prepared. There is even a large box of toys to keep small children occupied. 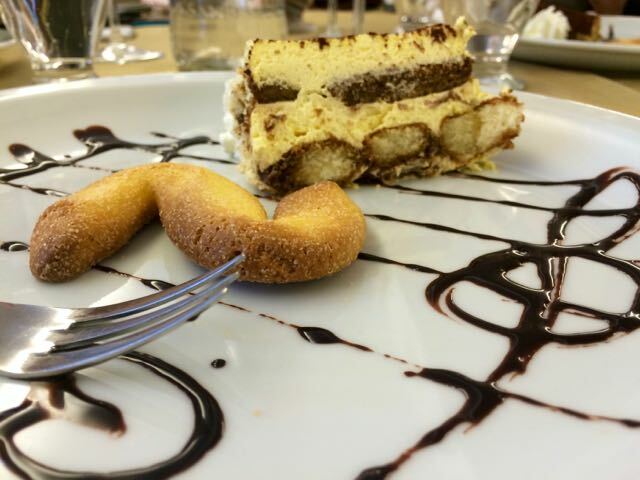 On the day that we visited we had plates of fresh shrimp and octopus and calamari, piles of lightly fried vegetables, pasta and for dessert the S shaped biscuits that echo the shape of the Grand Canal. The ownership of this restaurant has a very interesting story. It is a cooperative of families from the island that is passed down to only to the sons. This spot can get very busy in high season, I recommend making a reservation.